The Calypso Bracelet is beautiful and comfortable to wear. It combines either yellow gold filled or sterling silver metal balls with jump rings. 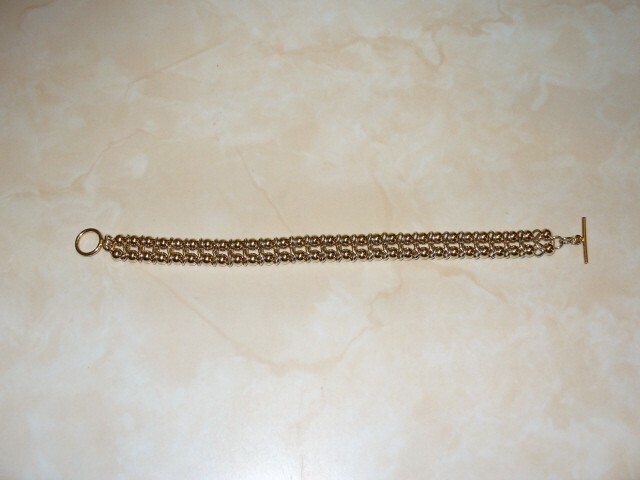 The chain can be divided in half and a watch face inserted for a wonderful watch with a Calypso band. This is an advanced beginner weave. The clasp is not included in the kit.